The FCBEscola project continues with its international expansion after it was announced that a new school will be opened in Costa Rica’s capital San José. 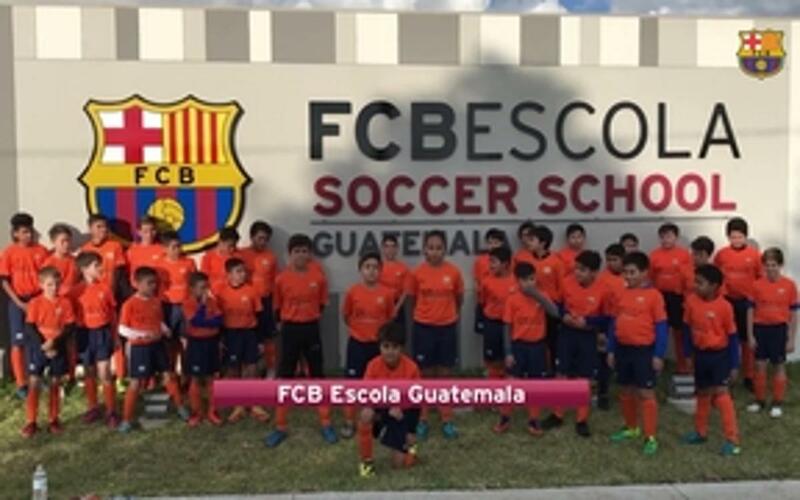 This new FCBEscola, run by ISL Futbol, will be the second located in Central America, after the one opened in Guatemala at the start of 2017. The school is expected to be up and running by February. The FCBEscola Costa Rica will be the 37th international project and the 18th located in the Americas; proving the interest the Club has in expanding in this strategic territory. For this purpose, FC Barcelona has had an office in the heart of New York in Manhattan since September 2016. The installations will be located at the Blue Valley School school in Escazú, within the metropolitan area of San José, and will consist of two football pitches being constructed specifically for the FCBEscola’s use. The 9 and 10 of December are the dates planned for the first trials for the players. The objective is to begin selecting the boys and girls aged six to sixteen who will become the school’s first intake. FCBEscola is a model of football school specific to FC Barcelona aimed at boys and girl. Its objective is to provide its students with an integral education. This model of football school has been exported globally with the aim of promoting the Barça brand and transmiting the work ethic and values of the Club to the rest of the world. The FCBEscoles work with a unique model based on Barça’s methodology used from their academy sides right up to the first team. They aim to play creative attacking football whilst transmitting their core values: respect, humility, hard work, ambition and teamwork. The methodology has had notable success. FC Barcelona currently has 36 FCBEscoles in operation, over 170 campuses, and 50 clinics. They are present in over 40 countries across five continents and benefit over 40,000 boys and girls. FCBEscola Costa Rica will be the 37th school and it will open its doors in February 2018.